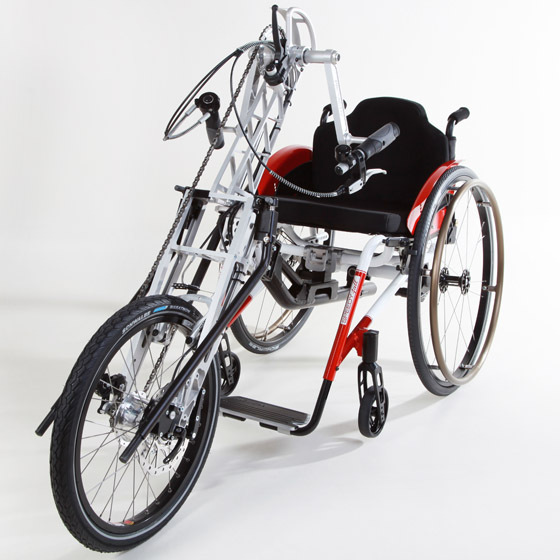 NJ1 Adaptif Bike - Pro Actif Whether it is a trip into the city or a longer tour, the NJ1 adaptive bike allows for easy and comfortable travelling at all times, without having to leave your own wheelchair behind. Apart from that, the adaptive bike helps you enhance your physical well-being and fitness. 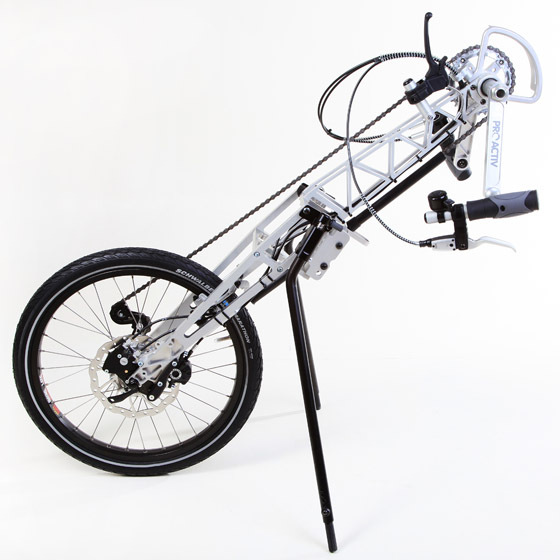 The NJ1 adaptive bike is light and stable and has excellent handling characteristics. Top-quality gear and brake components from the bicycle industry ensure precise switching of gears and braking. 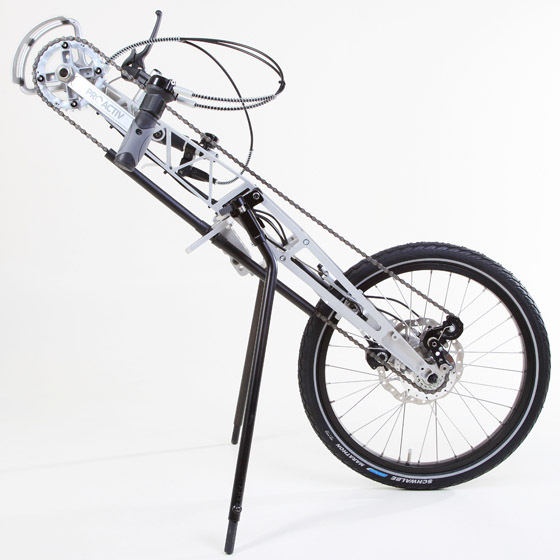 The handbike equipment is variable, from touring bike to sports bike. Also available is the NJ1 compact bike with electric support: During pedalling you can reach support levels of up to 300%. Without pedalling you can travel up to 6 km/h (3.75 mph). The NJ1 adaptive bike is perfect for beginners. 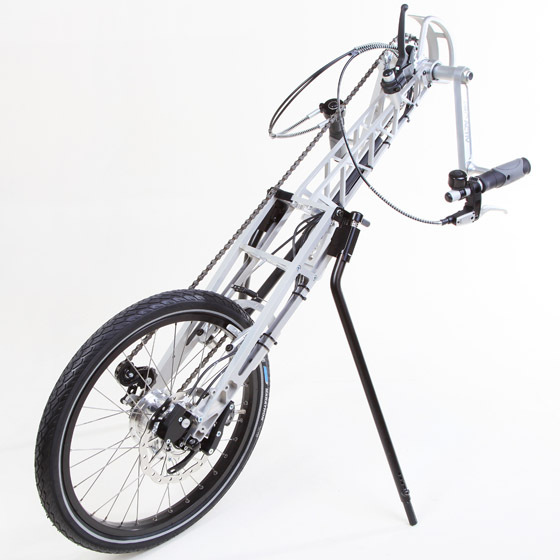 It could also be used as a drive unit for the NJ1 compact bike at a later time, or it could temporarily be used as a recumbent bike / adaptive bike. 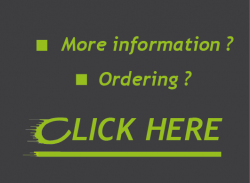 There is also a large selection of accessories for tetraplegics available.